and wider than the current signs. They will be consistent with signage that exists throughout the city. Staff presented proposals for survey issues and subjects which would be the basis for survey questions, survey’s target population demographics, and survey methods. The city is to hire a specialized outreach firm to conduct the survey. Public comment proposed additional subjects for questions, additional elements of Irvine’s current demographics, and survey methods, preferring focus groups/town hall meetings and on line surveys. Nirschl stated that the language of the questions has to be specific, clear, easily understood – wording such as “managed growth” is too general. He further said that the survey population must represent Irvine’s current demographics, and prefers surveys by means of focus groups. He also stated that he is opposed to weighting different segments of Irvine residents over others as this would amount to discrimination. Duong said that the General Plan is an important document which will guide Irvine for decades. Duong wants the company hired to conduct the survey to have public policy experience. He also stated that he likes focus groups for surveys. Bartlett said that she is concerned about the cost of focus groups and not enough people will participate in the focus groups to be worth the cost. She was also concerned that focus group participants will not represent an adequate cross section of the Irvine community. Bartlett cautioned that there is a difference between qualitative data and quantitative data. Smith reported that the State is facing a housing shortage and thus has narrowed/reduced requirements in order to increase housing availability and thus the development requirements are no longer ideal. Smith recommended targeted mailings to the various cross sections of the community. Smith further stated that the General Plan has to give priority to public safety. Staff report: Due to excessive traffic, insufficient parking, accumulation of trash, public safety issues and noise issues, there is a need to amend the Boarding House Ordinance. The current boarding house ordinance defines a boarding house as a household with 5 or more persons. The amended ordinance would define a boarding house as 2 or more unrelated residents living together that are not living together as a single household unit either on multiple rental agreements or the same one. A single household unit will be required to share meals, expenses and have some sort of relationship with each other. There were multiple public comments complaining about homes being remodeled to allow a number of roomers and the owner basically running a rooming house business enterprise. One Irvine resident asked that as the Boarding House Amendment does not apply to licensed care facilities (congregate care facilities, board and care facilities, bed and breakfast facilities, group homes, recovery homes), and these homes are inconsistent with village plans, what can the city do to enforce the village character and village plans. Kuo reported concerns about the ability of code enforcement to enforce the ordinance – that there needs to be a stronger consequence for violations in order to create a deterrent. Kuo said that the City and HOAs should have enforcement ability. Kuo asked the Code Enforcement Staff what the consequences are for boarding house ordinance violations. Staff reported that violators receive notices of violation. If violations continue, they give citations, fines and penalties. If the violation still persists, the city proceeds to civil or even criminal action. Smith requested that there be acceleration to the criminal process level. Melching (City Attorney): There is a need for increasingly prompt enforcement of city codes. Nirschl: The boarding houses are commercial businesses. He also said that there has to be a way to differentiate between renters and guests. Bartlett reported that the State is easing up on parking and housing laws to address housing shortage. Duong said that the issues that are being addressed is quality of life and public safety. He said that the problem is identifying the evidence needed for enforcement. Duong said that the ordinance should require a written lease. Duong brought up the issue of the difference between boarding houses and short term rental agreements. Staff reported that citations on short term rental violations are higher than citations on boarding houses (none). Staff said that citations are lower than the incidents. Melching: Short term rentals are 30 days or less and boarding houses do not have a minimum term of residency. Smith stated that boarding houses are businesses which intentionally exist to making money at the detriment to the community. Smith recommended that after 12/11 the City Council do what it can to enforce the Boarding House Ordinance. Smith asked for a future agenda item that addresses the issue of licensed facilities. 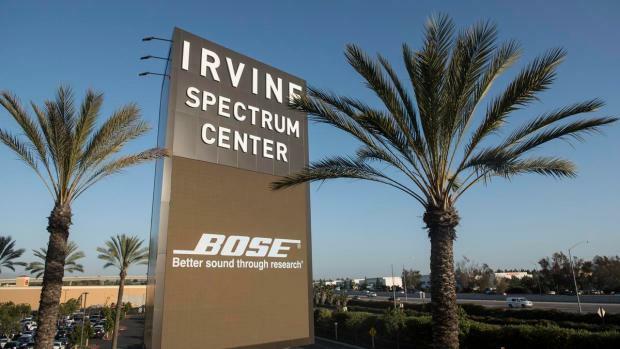 Irvine Company and city reached an agreement to have the sign information advertise tenant business services and events and the individual tenants would be limited to 2 signage advertisements per year with a 60 day limit.